When you think of a NairaBET account, it is only normal to think of placing bets. So we understand that you may find the title of this blog post a bit surprising. What else is there that could be possibly done with a bet account, yea? 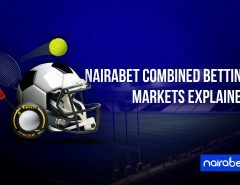 Being Africa’s biggest sports betting platform, a NairaBET account goes way beyond just placing bets. Your NairaBET account can be used for so many other things. But most people leave a lot on the table by ignoring these benefits. If you’re one of them, it’s time to make the most of that account you have. If you don’t have a NairaBET account, click here to NOW to instantly open yours today and start enjoying these benefits. You know how you can transfer airtime from one phone number to another? You can actually do something like that when it comes to funding a NairaBET account. This feature allows for NairaBET account holders to credit each other’s account instead of having to make deposits from their banks. This is unprecedented when it comes to betting in Africa. This means you don’t have to miss out on making some extra cash off any games. Awesome stuff, right? Click here to learn more about how it works. Just imagine still being able to browse the different games available and place your bets, even when you don’t have data. This is just another feature that is available to you once you own a NairaBET account. You can browse NairaBET for free, with an MTN SIM. Here comes the exciting part: If you have data on your phone, your browser switches to data-free mode as soon as you enter the NairaBET website with an MTN SIM. 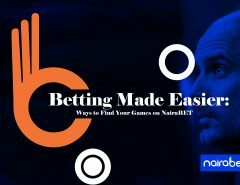 Sports betting is not the only way to make more money with a NairaBET account. If you’re still wondering, then you’ve not heard about NairaBET Monday Funding Madness (#NairaBETMFM). It’s so easy to forget that there’s any other kind of betting asides sports betting. But there is! A NairaBET account is like a flight ticket to Las Vegas. The account gives you access to an online casino on which you can play in at any time. No access restricted. And you can play for as long as you like. We all know weekends can be. The available options can be overwhelming and it’s easy to make errors. But with a NairaBET account, you seek help… And find it! Each NairaBET user has access to the “Bet Suggestion” feature of the platform. 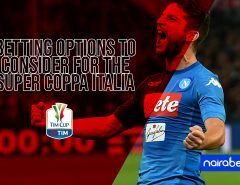 The only thing you need to use this feature is the amount of odds you intend to place your wager on and how much you want to stake. 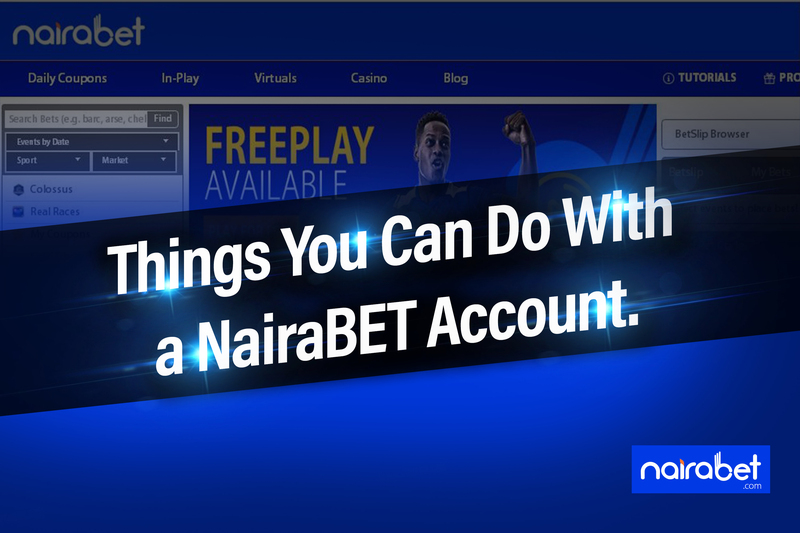 If you’ve had a NairaBET account for while now and you didn’t know this, it’s time to explore. If you don’t have one, it’s time to get yourself one and take advantage of these features.